Up to 17,000 investments banking jobs could leave the UK soon after Brexit, according to the latest estimates by consulting firm Oliver Wyman. 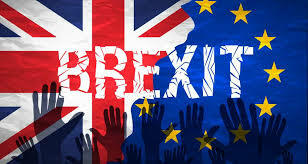 With the United Kingdom government negotiating an exit from the European Union, there is a chance that banks will lose their rights to sell products to EU clients. To offset this, banks are putting into place contingency plans to build out their operations in the trade bloc. Based on those initial plans, Oliver Wyman says 15,000 to 17,000 wholesale banking jobs are set to be relocated into the EU. Over the longer term, that number could rise to 40,000, the firm says. There are around 560,000 people employed in banking in the UK, so such a departure is unlikely to mortally wound the country’s reputation as a financial hub. But it could reduce the efficiencies of having Europe’s investment banking services located in one place, the firm added. “We find uncertainty about the outcome of the Brexit negotiations means wholesale banks are trying to restrict their initial responses to ’no regrets’ moves: actions that increase their options but cost relatively little, such as applying for licenses in EU jurisdictions,” the group said in a report. However, in the next six to 12 months banks will have to start making more expensive decisions, such as relocating staff. Already banks are warning about taking a Brexit hit. HSBC zx PLC Chief Executive Stuart Gulliver said on Monday that creating a new hub in Paris could cost up to $300 million. The reorganization is likely to eat into banks’ profits. 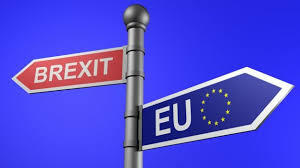 Oliver Wyman estimates UK based investment banks would need to find $30 billion to $50 billion of extra capital to support new European entities if the UK cuts all ties to the EU. That is equivalent to 15% to 30% of the capital currently parked in the region by investment banks. This could add up to a 4% increase in annual cost base, equivalent to around $1 billion across the industry.